Never would I have thought I would be sitting here writing a story about the struggles I hear about on news, in movies, or even read on Facebook from time to time. Last week my life changed and like every moment of impact in our lives my whole world was flipped upside down. I've been blessed with five beautiful children, two biological and three bonus. A few months ago I noticed my youngest daughter started having nose bleeds that just wouldn't stop. As a mother of five this was not something new, and thought well if they don't stop in a few weeks I'd take her to an ENT for evaluation. As the summer came to an end I started noticing bruising randomly in the morning. As a wife of a police officer and a degree in social work I know the healing process of bruising. Two weeks passed and the bruising was not changing coloration, which was a huge red flag. I scheduled an appointment with her doctor for an evaluation. Just as most children Camryn hates eating veggies and fruits, and is one of the most pickiest eaters out of all my children. I was concerned about it being a nutritional deficiency. As I talked to the doctor she shared the same concerns. To be safe and sure she said she wanted to run blood work. That day the doctor made a comment of worse case scenario being leukemia. The doctor and I discussed how that was a less likely chance, and in my eyes I was like no way my family history no one has ever had anything like that. So of course I leave the office and my little girl is saying no to needles so instead of going to the lab and upsetting her I decided to take her for ice cream and look at animals at petco. She has been asking for a ferret for a few weeks. A few days later we do the labs late in the afternoon. The very next morning I'm in a meeting at work look at my phone and see the missed call from the doctor. I thought to myself there's no way they have results it hasn't even been enough time. Little did I know I would be hit so hard and have my heart pulled out my chest a few moments later. My husband never asks where I am or to call immediately so when I got the message from him my thought was it was an emergency for his work the typical police wife thoughts (working late, emergency he won't be home, etc). I walked out of my meeting and called him, and all I can remember is him saying "I'm on my way to get Camryn the doctor says she's not safe at school the blood work.... We need to see an oncologist in two hours". I fell to my knees not wanting to believe the words I was hearing. My baby the vibrant, active, loving, and sassy girl I love dearly is sick. How did I miss this? Why didn't I take it more serious? Why her? Camryn is a firecracker just like her mom, and she will never let anyone or anything take advantage of her. She's the most confident little girl, and so extremely active. Never in a million years would I think or even guess there was something wrong. But yes I was wrong I felt as if I failed her. How as her mom did I not catch this sooner? An oncologist really? This is something I should have seen or known. We arrived at the oncologist office and received the most horrific news ever. The office staff took Camryn to a play room as they gave us the life changing news. The doctor told us Camryn has leukemia or aplastic anemia there is less than 1% chance it's a virus. I broke down refusing to believe the words I was hearing. 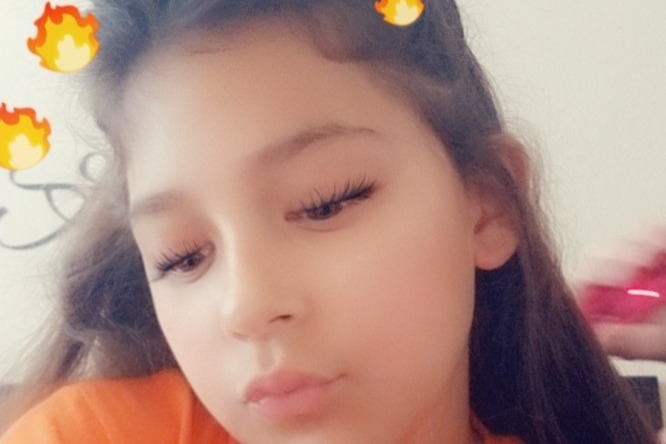 She said we will admit Camryn in the hospital she will receive blood transfusions, platelet transfusions, and need to have a bone marrow biopsy in the morning. The only thought in my mind was anemia well that's not horrible I mean that's treatable with eating better. Again I was wrong! As my husband did research and as we talk to nurses in the hospital I realized the severity of both the options. I then realized we were having to do chemo treatment no matter what. My heart broke again why could this not be me? Why Camryn? How do I explain to her older sisters and brother? Am I going to lose my baby? After the surgery the doctor explained we wouldn't receive results for three days due to it being the weekend. She stated the pathologist came and looked and as preliminary they are now 75% aplastic anemia and 25% leukemia chances. They said we could go home temporarily until treatment started. They said she's confined to home no more school, no going out in large crowds, and gave us things to look for. As the day came to get the news again another moment of impact the day we find out what this is. I was hopeful for that 1% virus chances. Yes I gave myself false hopes, but as a mom I couldn't accept what my baby was going through. The nurse came in and talked to us I was like please just send the doctor in I can't wait any longer. The doctor sits down and says "Well we still have more tests to run, but we can say without a doubt it's aplastic anemia...." I couldn't hold it in anymore my heart was ripped out of my chest once again. She explained "I have to be quite honest if we don't find a match this will be fatal within a year our best chance is testing her blood related siblings to see if they are a match". That moment I realized my little vibrant little girl who had been healthy all her life was fighting something serious. I again felt like a failure. How did I not catch this sooner? Why my little girl? Not that I would want it to be anyone else's but why her why not me? Fast forward to the day of me writing this as we sit waiting till we get the call whether her brother is a match for her. 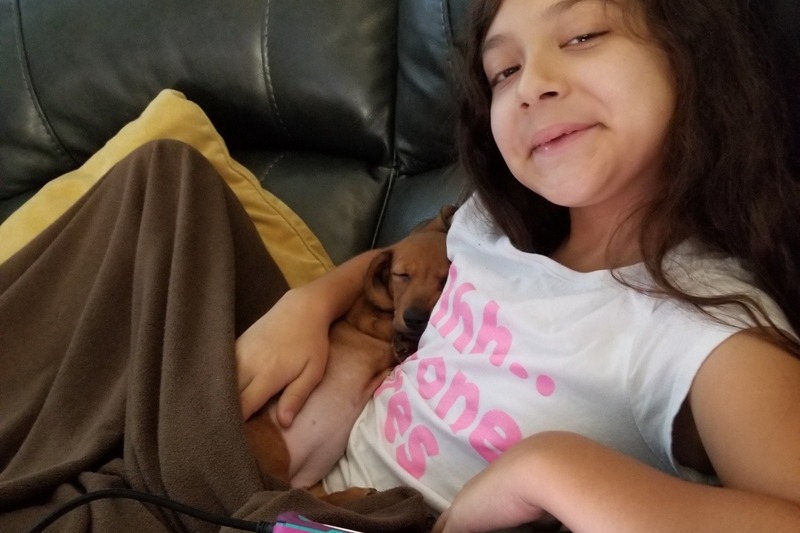 We start receiving insurance calls, doctors office calls, and wondering where we will stay because they don't have the technology to treat her in Austin. We have to go to a larger city for treatment, which means away from our support system for a minimum of a month but possibly 3 months. How are we going to afford this even with insurance? Of course her siblings are going to want to see her, there will be expenses for them to travel, and stay in hotels etc. 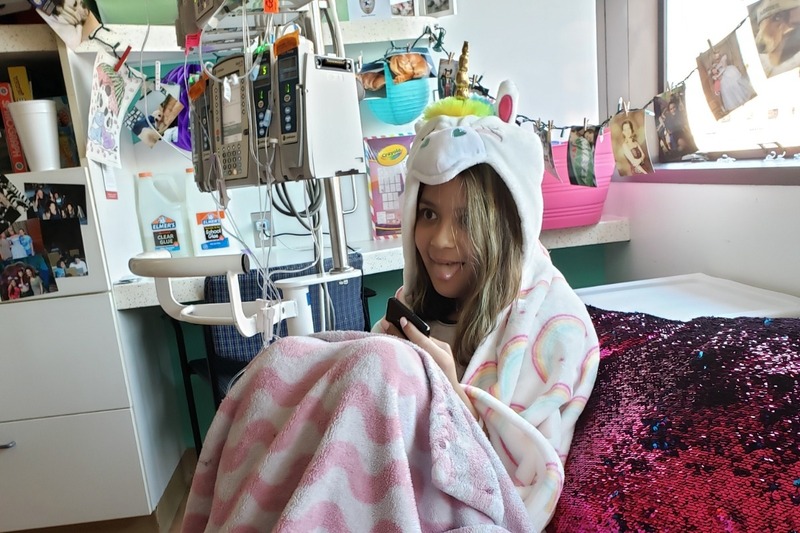 Even outside of the bone marrow transplant itself which costs approximately up to $800k for her only not including her brother who would be the donor. We also have to think of treatment lifelong, which includes immuno therapy, blood transfusions etc. If you are unable to help with expenses, as a mother I urge you to please register as a donor. The more people we have registered and donating blood the better chances for our little girl. Below are the links for bone marrow registry and blood bank specific for the facility supplying blood to our little girl. Hello all! It's been quite some time since I provided an update. 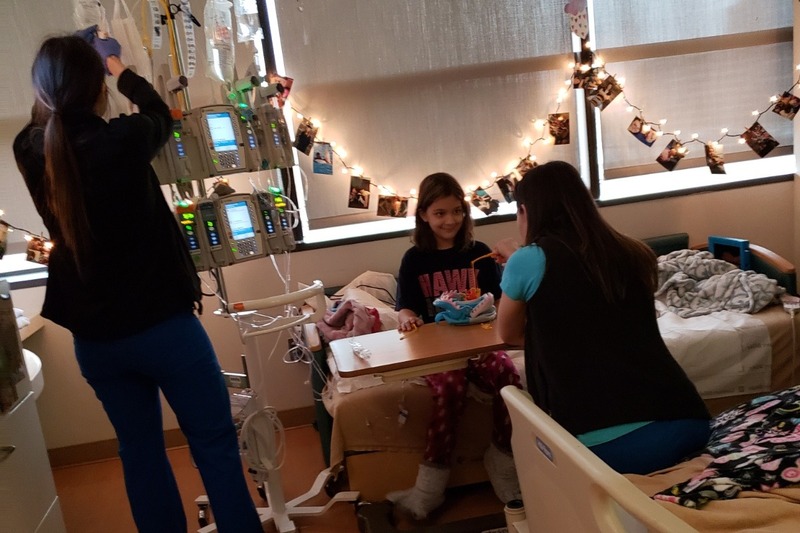 Camryn received her transplant on 1/26/19. She had several setbacks and trials during chemo and transplant together. We are now temporarily located in Houston, where we are required to be within a 30 minute proximity to the hospital. My husband and our other kids remain home. It has been rough, but we couldn't do it without the support we have received. Camryn is still recovering but so far she is 100% donor and all her blood levels are doing amazing. We will be away from home for another 100 days approximately. We both look forward until we can be home with our family again. Thank you all here are some photos of Camryn! I debated on releasing the news until we secured a donor. We couldn't wait any longer we received news Camryn is scheduled for transplant on 1/1. The two potential donors have not yet committed but the doctors had to put her on the schedule. We are one step closer finally have a tentative date. This is progress I'm hopeful one of these donors will commit soon. It's time for our weekly update. This week brought some news I wasn't wanting, but not a total shock. We are now 100% sure that Brian, her dad, and myself are not a match and have been denied by the transplant team as donors. Although transplant from family would have given better odds, it turns out that there's another plan for Camryn. So where does that leave us waiting as usual. We are currently waiting on insurance to approve us to search the registry to determine if there is any matches. If there is it can take approximately 3 months to determine if that individual is still willing, and if the individual is medically cleared to donate. Until her match is found we will continue weekly trips to Houston for transfusions, and more testing to prep her for transplant time. So from now and until we find a match transfusions will keep her going. So please everyone that can ages 18 - 55 register with www.dkms.org for bone marrow registry. It's a simple process so please save a life, not just Camryn's but one of the many waiting for their match!! I have to first of all thank everyone for every word of encouragement, donation, and most of all thoughts and prayers. These Houston doctors are beyond amazing and one of the biggest blessings to our family. Although this week did not bring us the best news what we have is plans and answers. 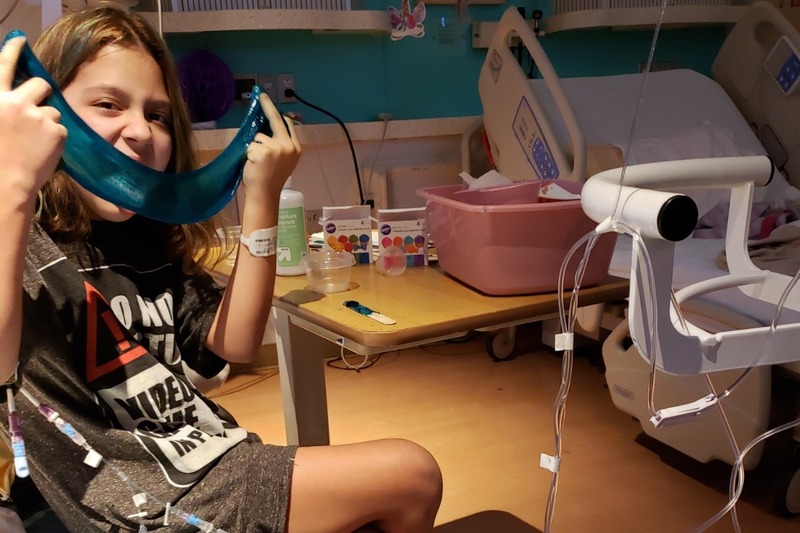 This week we discovered not only does Camryn have a rare blood disorder, but she suffers from MDS which is one of the most rare syndromes seen in a child. Unlike aplastic anemia MDS causes the blood cells that Camryn does create are abnormal, which means they are underdeveloped and die faster. The doctors encouraged us not to Google or go further in research since not much is posted for children only for adults. Due to this diagnosis Camryn has been ruled out for immuno suppressive therapy (medication for treatment) and our only hope is transplant. She is also at a higher risk of MDS turning into cancerous cells. She will undergo another procedure to determine whether or not the cells are cancerous as of right now. They will also be checking to see if there is any significant progression in the bone marrow since the last biopsy. My heart again has been ripped from me I'm so scared of what is to come. My Blue Family I cannot thank you enough for the love and support near and far. Thank you so much! Continue to spread the awareness I know Camryn's match is out there. We can reach them! 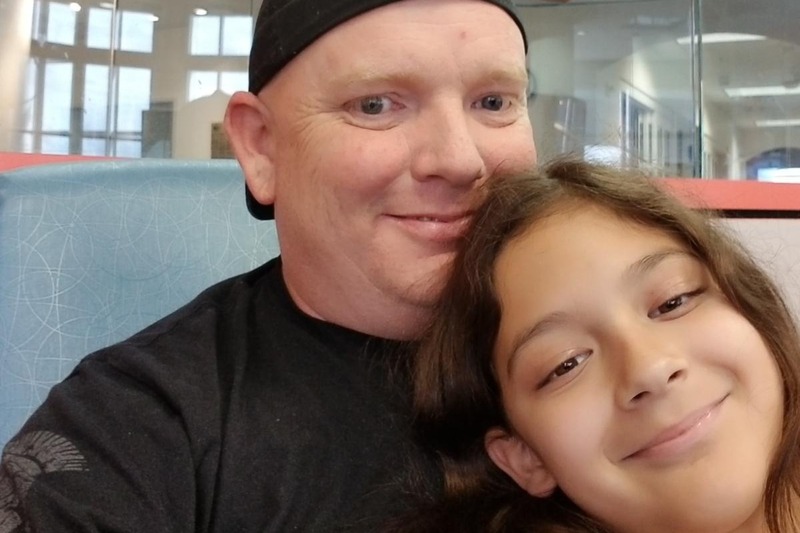 This photo is of Camryn and her dad while she was receiving transfusions the other day. Be safe all and take care!